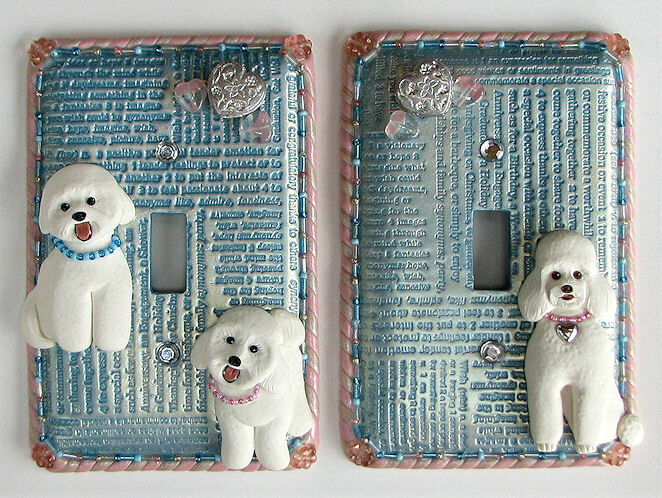 Occasionally Alicia accepts requests for custom canine jewelry, including pins, pendants, beaded necklace sets, as well as decorative magnets and light switch plates. 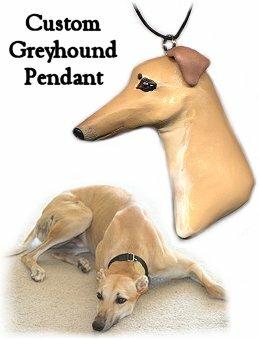 Most jewelry items are a face portrait only, not the whole body. 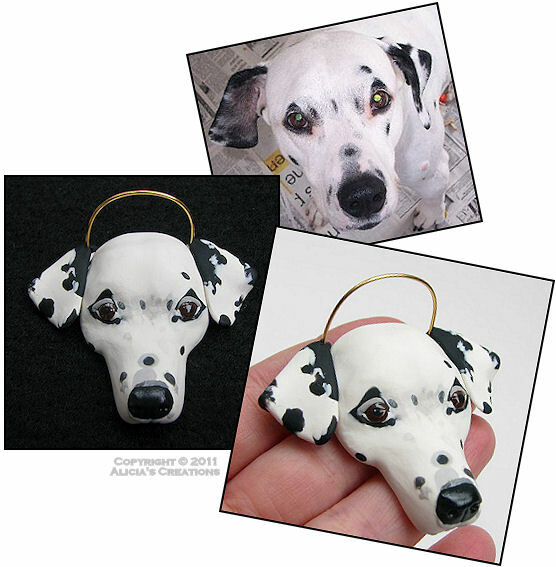 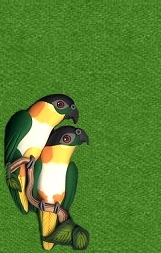 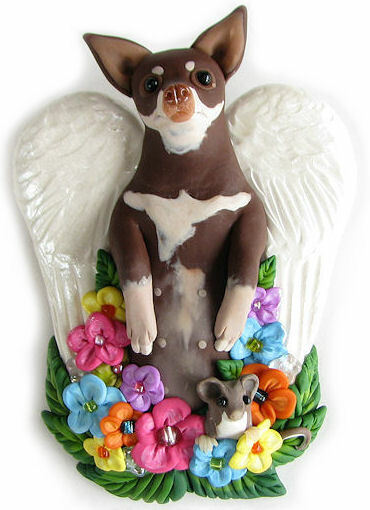 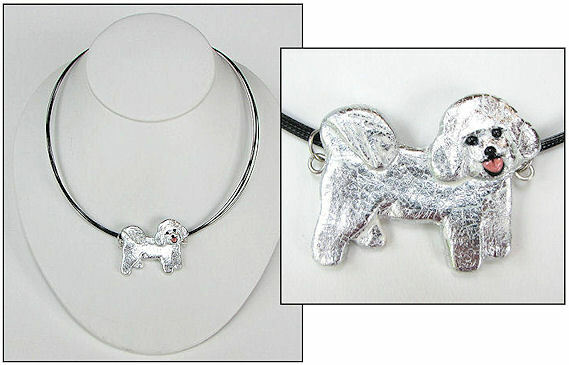 Alicia typically does not use any paint on her polymer clay jewelry, but depending on the coloration of your dog, Alicia may use some acrylics and artist's chalks to achieve a more realistic look of fur and other details. 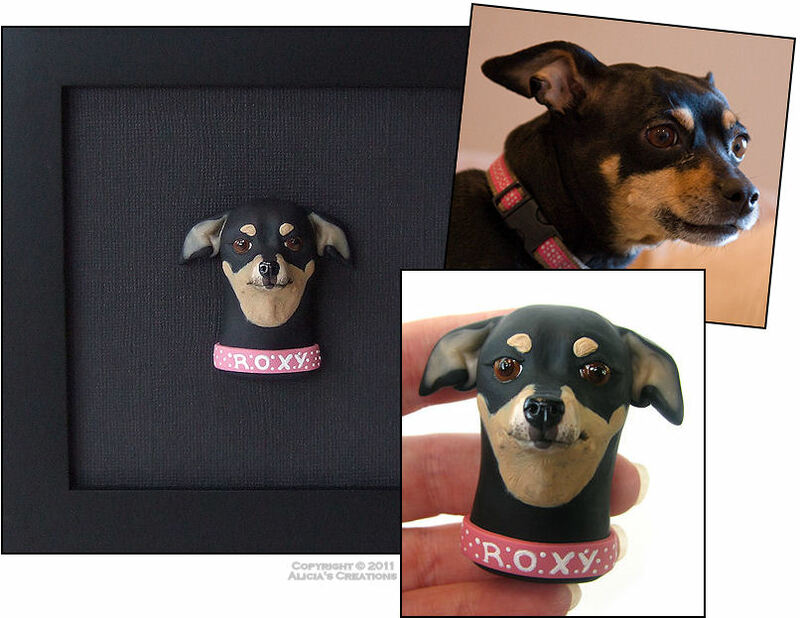 Please contact Alicia if you would like to place a request for a custom dog sculpture, along with a clear photo of your dog, and Alicia will let you know if it is workable, along with a price estimate.